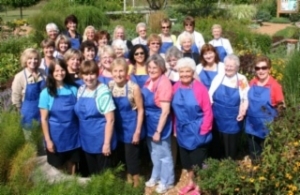 The Shelby Gardeners’ Club appreciates the splendor of each season. As spring transitions into summer, we take pride in the natural beauty of our township and the surrounding communities. The club is now searching for garden enthusiasts who reside in Shelby or neighboring cities for the 2016 Bi-Annual Walk. Slated for mid-July, the Garden Committee is reviewing a variety of local vistas. Are you interested in sharing your garden with the public, or would you like to recommend a garden? For consideration in our next eagerly anticipated walk, please contact Karen McCuen, President (586.786.0816), Jan Kennedy, Programming (586.781.2821) or Ivy Schwartz, Publicity (586.781.6742). 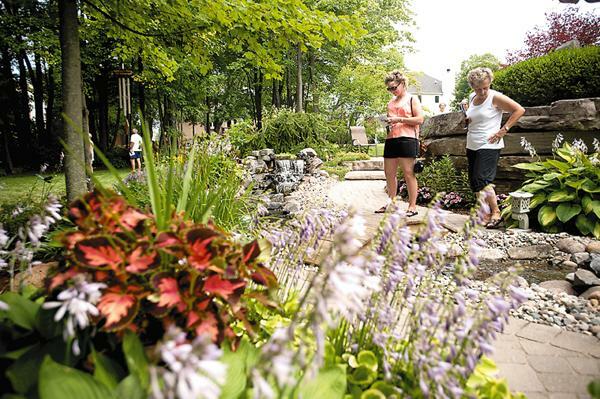 Annette Arment, left, and Kathy McInerney look at a stone pathway through Marie Still’s backyard during the 2012 Shelby Gardeners Club Bi-Annual Garden Walk on July 14. Mark your calendar for our Bi-Annual Flower Show at the Shelby Public Library, July 9th-11th. The 2015 theme is Fairy Tales; all flower enthusiasts from near and far are invited to our three day showcase of gardening creativity. In addition to hosting community lectures at the Shadbush Nature Center, the club maintains the beautiful Heritage Gardens on the township’s municipal grounds. The club also engages in community service projects. This season the gardeners are making craft projects for Regency Manor nursing home in Utica. We are actively engaged in growing our gardens and our club. If you are considering joining us, please contact Linda Wojtowicz, Membership (586.781.8361).